1. Schedule and coordinate assigned events within budgetary limits. 2. Monitor and direct the events from beginning to end. 4. 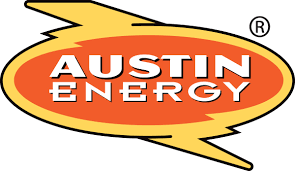 Represent department and City of Austin programs at events. 5. Assemble resources, i.e. staff, facilities, food services, promotional material, etc. for assigned events. 6. Cross train program staff to adequately represent all department programs to the public. 7. Develop roles and calendar for community involvement. 8. Participate on marketing teams to plan and deliver marketing events and media productions. 10. Research, purchase and monitor inventory of promotional items department wide. 11. Develop and make presentations to customers, service providers and department representatives. • Knowledge of conference/community events processes. • Knowledge of market segmentation, media markets and experience in the media purchasing process. • Skills in oral and written communication, including public presentation. • Skill in establishing and maintaining professional relationships. • Skill in coaching, leading and teaching assigned staff. • Ability to plan conferences and events. • Ability to accomplish multiple tasks and projects. • Ability to represent department and City of Austin in a professional manner.